The guard could make you stand for hours before he felt like noticing you. Organisation Todt (OT) was a German building company during the existence of Nazi Germany; it was set up in 1938 and was named for its founder Fritz Todt. The organization was closed down in 1945, at the fall of the Reich. 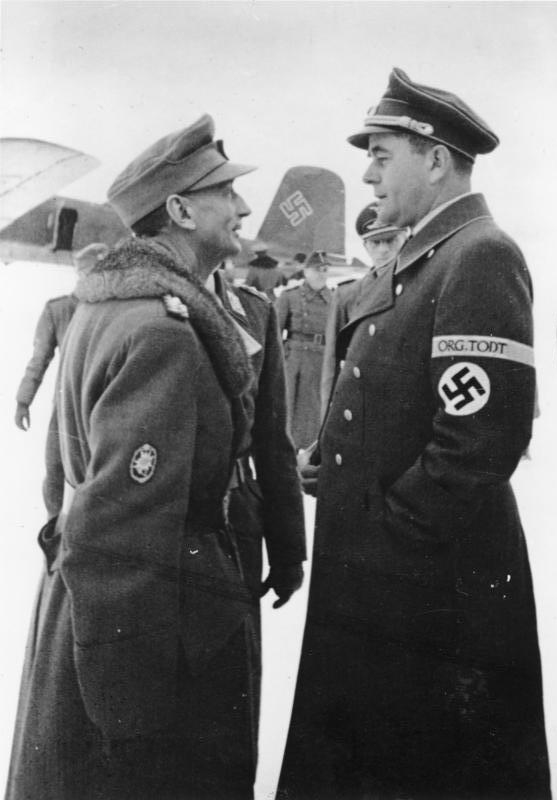 Organisation Todt was a German government organization and originally part of the German Ministry for Arms and Munitions. After the start of the war, the organization received increasing authority to “build a new Germany”. Laborers were put to work with volunteers and with the Arbeitseinsatz.